Freeing up your time so you can freely worship. One place to keep all your songs and create collections. Build and edit a service from a template or from scratch. Easily communicate with your team and eliminate confusion. Go beyond the planning and learn how to prepare for worship. Some worship leaders spend hours each week coordinating schedules, outlining service, and planning rehearsals. WorshipTrac saves you time so you can focus on leading worship. Quickly create a detailed outline of your service, attach notes, view files and links. Send Invites and let each team member know their role or instrument for each service. Keep everyone on the same page with practice times, locations and roles. From the makers of the award-winning easy-to-use ChurchTrac...We've created a tool to make worship planning a breeze, not a burden. Priced to fit in your budget, not break it. Plus, our prices are transparent. Every plan includes tech support. You won't have to wait days to get an answer to your question. We respond to any issue in less than 1 business day. We know you because we are you. WorshipTrac was designed and coded by worship leaders, for worship leaders. Bobby is on your worship team. You've scheduled Bobby for next Sunday....but will he be there? With WorshipTrac, you'll know the answer. Bobby can enter the dates he'll be out of town or unable to serve. Plus, when you schedule Bobby, he gets and email or text message that asks him to confirm his attendance for the worship service and rehearsals. The application shows you who has confirmed, and who is unavailable so you can make adjustments. 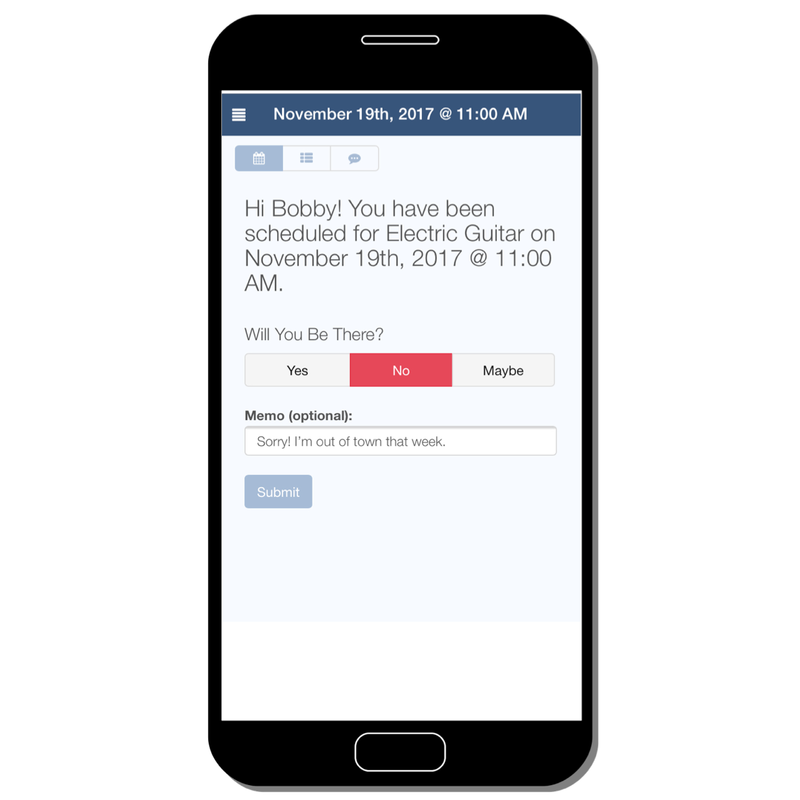 Plus, when Bobby confirms, he's able to view the service outline, download music and media, and send messages to you or other scheduled team members. The best planning puts God at the center of worship. As worship leaders, our ultimate goal is to lead others in worship. While it may take hours of preparation and rehearsal to pull off a single worship event, no tool is a substitute for the preparation that happens in the heart of the worshiper. WorshipTrac includes daily tips, scriptures and reminders that help us, as worship leaders, to keep our focus on what's most important...our relationship with Christ. Without this, our "worship" is nothing more than a vain performance or clanging noise. Our prayer is that WorshipTrac will be more than the tool that helps you plan worship, it will be the tool that helps you be a better worshiper. Your song library contains all the music you use or plan to use. You can quickly add a new song to your library manually, or import from SongSelect. 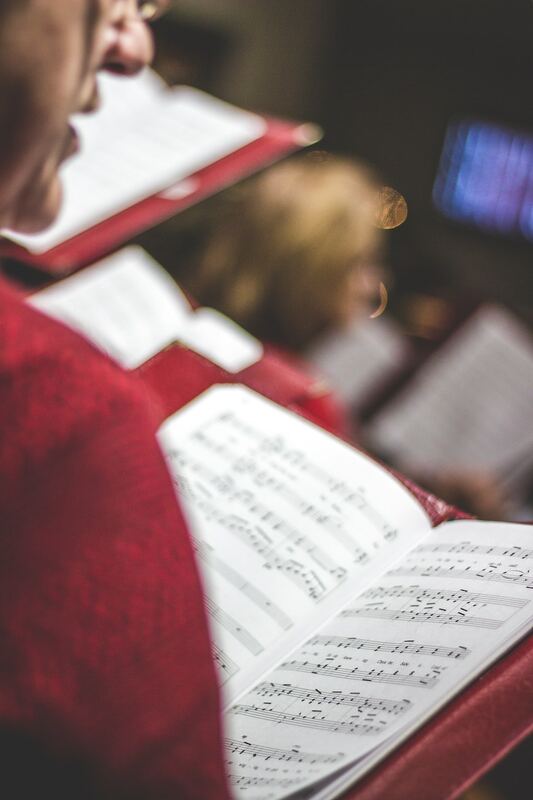 Attach chord charts, sheet music, audio files or links to your songs, then use your songs in planning worship. Put your music into Collections, which are like a virtual song books...or real song books. Locate a song by searching titles, tags, key signatures, lyrics and more. Attach PDF and Audio files to your songs, or add a link to an external page, like YouTube. Import songs, lyrics and chords from your CCLI SongSelect subscription. Tag your songs to quickly locate based on topic, genre, style, season...anything really. Star your favorite or frequently used collections and songs for quick reference. If you're a ChurchTrac Online customer, ask about a discount! Ready to start using WorshipTrac? From the creators of ChurchTrac, the easy-to-use church software that churches can actually afford. WorshipTrac was created by worship leaders, for worship leaders. We are passionate about worship, and helping others to worship. Our mission is to equip you with the tools and resources you need to plan and lead better worship. © 2017 ChurchTrac Software, Inc.